Let Boston Closet help you make the most of your man cave with custom storage systems and displays! 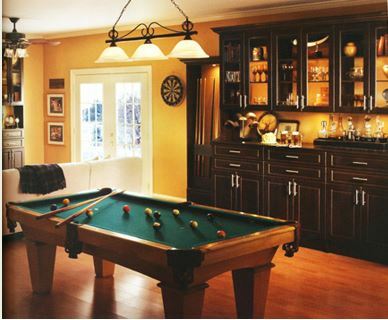 The idea of a man cave isn’t exactly a new concept, but it remains an attractive notion for men all over Boston. What exactly is a man cave, though? Simply put, it’s an area of the house, be it a basement, garage or den, where the man of the house can go to be alone or just hang out with friends without disturbing other members of the family. It’s a sanctuary that a man can decorate how he wants, fill with the things he loves, and do what he likes without anyone complaining they want to watch something else or asking him to turn his music down. Rather than shoving them into into closets or drawers, men throughout Boston can keep their things organized in custom storage designs in their very own man cave. No man cave would be complete without a TV to watch the game, so why not display it in a custom-designed entertainment center? Showcase your big screen and store all your guy movies, game systems and more. Setting up your man cave in the garage but don’t want to get rid of all your tools? Boston Closet can help design storage to keep all your tools organized and stowed out of sight or at least out of the way (if you want to display them). Instead of keeping all your sports stuff in the closets, let Boston Closet design custom storage systems. From wall displays to cabinets, together we’ll design the perfect display for your favorite teams. 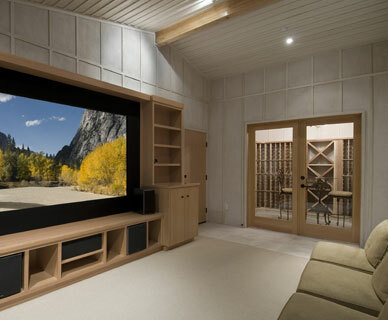 We combine storage power, architectural interest and dramatic display to make your man cave the envy of your friends. No matter where you have your man cave set up, Boston Closet can help you make it great and maximize the space at your disposal through custom storage systems. Make your Boston man cave as unique as you are. Contact us online or call (617) 628-1150 today for a free design consultation.